It’s dynamic, inspiring and full of her design insider ideas and knowledge. It’s fresh, colorful, and an essential reference book for your library. 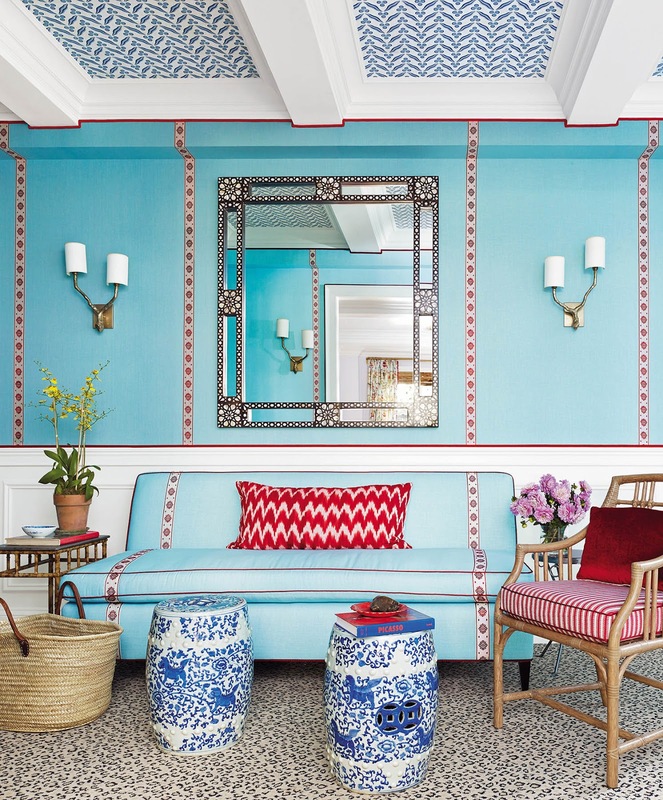 Sophie, the beloved and admired Editor-in-Chief of House Beautiful has created a dazzling idea-filled design book that is vivid, joyful and inspiring. On its 250 pages and in 8 chapters, Sophie has delineated and illustrated hundreds of decorating and interior architecture ‘secrets’ including the instant effect of using an unexpected color, working with antiques and vintage pieces, making a grand gesture with a large-scale sofa, ensuring a sense of ‘touch’ on fabrics in every room, selecting personal (perhaps eccentric) favorites, and ways of creating a ‘wow’ moment. Sophie Donelson, Editor-in-Chief of House Beautiful (Photo exclusive). Photography includes the new portrait of Sophie Donelson, above, with décor by Ken Fulk. 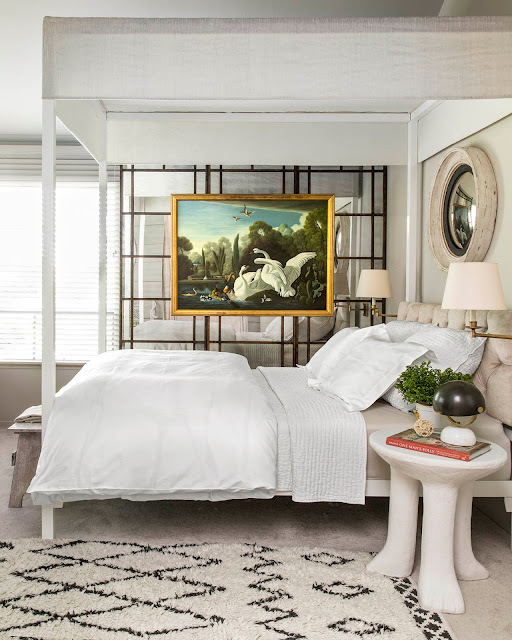 Images from the book (below) include décor by Myra Hoefer (the all-white living room), bedrooms and kitchen details by Benjamin Dhong, and a fireplace vignette by Ken Fulk. Sophie selected highlights from top designers and creatives for ‘Style Secrets’…only the best. The range of ideas is exciting, the images vivid. Best of all, Sophie’s ideas are practical and versatile and they don’t require a huge splurge. “There is no big budget required for entry or to initiate stylish changes,” she said. ‘Since House Beautiful’s founding in 1896 we’ve engaged readers with ideas to try, not just to buy. Every month, our issue is full of chic concepts, quick upgrades, new colors, designer tips, and new ways of looking at design. So a smart reader walks away with scores of potential new home upgrades in each issue—no shopping required,” said Donelson. And these artful and smart concepts and fast lessons are on every page of the book. 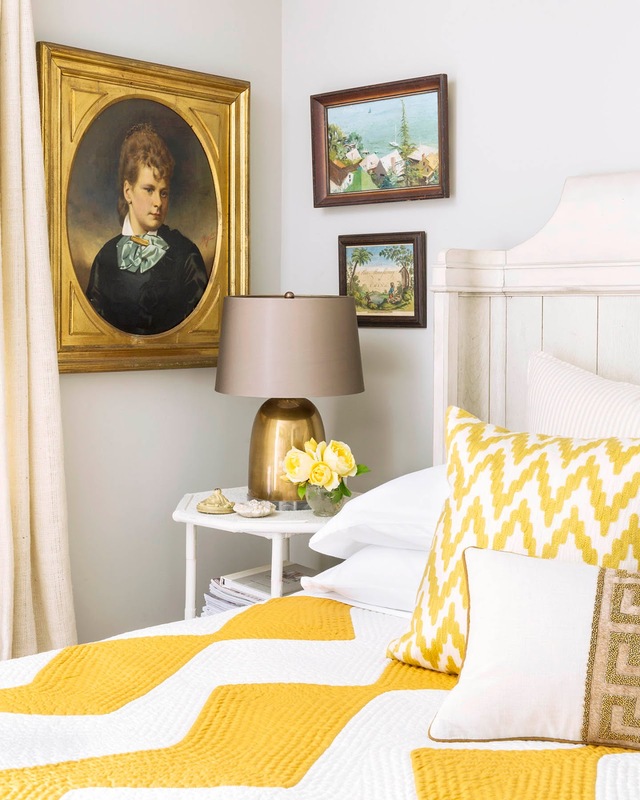 “There are many useful and practical design ideas I’ve included in the book many professional ideas and things that most decorators agree that a home needs,” said Donelson. These concepts are all shown and described in the new book. I sat down for a chat with Sophie Donelson recently to find out more about her book, and to get a few more ideas. Here are her great pointers. DDS: Sophie, congratulations. Your book is exuberant, joyful, highly informative, and a great pleasure to read. You’ve selected ideas that are inspired and possible. My readers would love to know what did you set out to accomplish with this book? 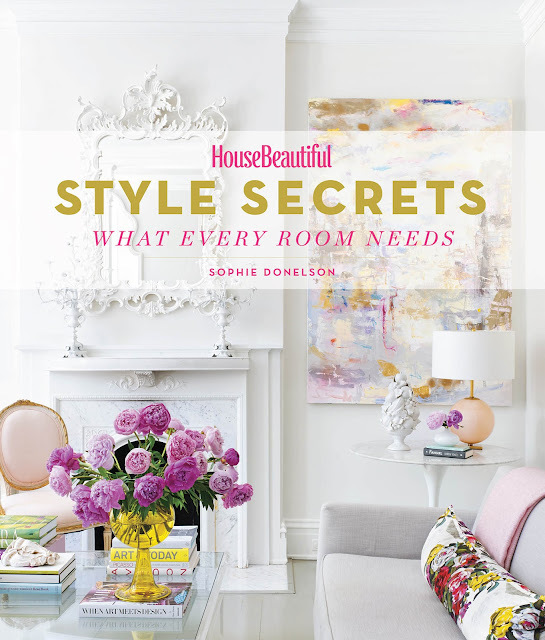 SD: The book is a fresh way of presenting the gems that live inside every issue of House Beautiful. 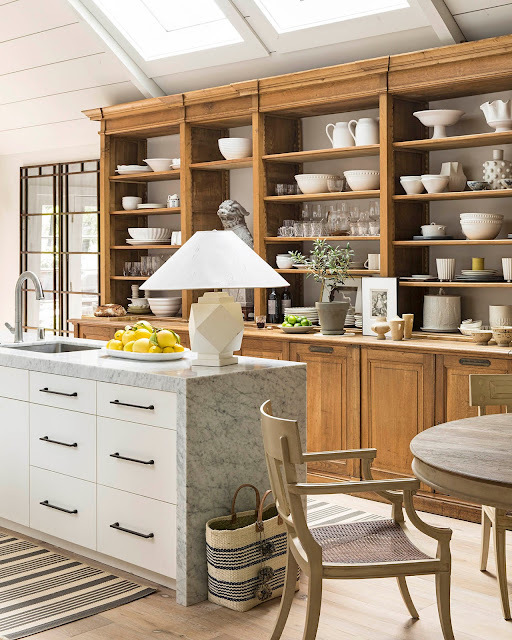 We present new-to-market furniture and accessories to our readers each month, but the features in the book go much deeper – they document what makes a room truly special or personal. I felt those ideas deserved a bigger canvas, a treatment that’s bolder, and a format that’s truly keepsake and so that’s when I pitched the book idea. DDS: The images you’ve chosen for the book are the cream of the crop of House Beautiful recent design features. 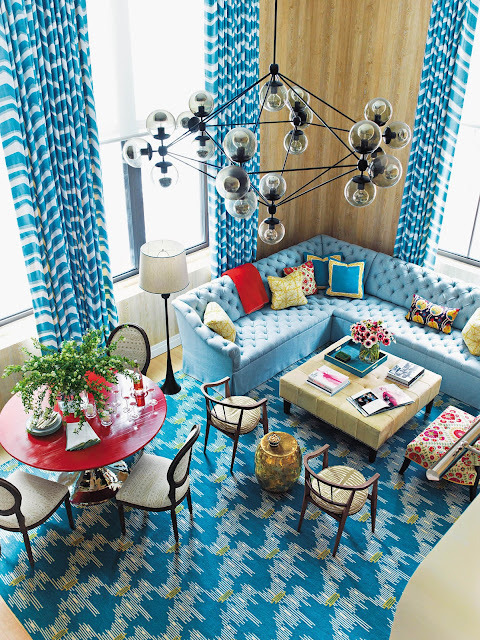 You feature ideas from top designers in every design hotspot in the country. SD: How is this book unique and different from other design books? 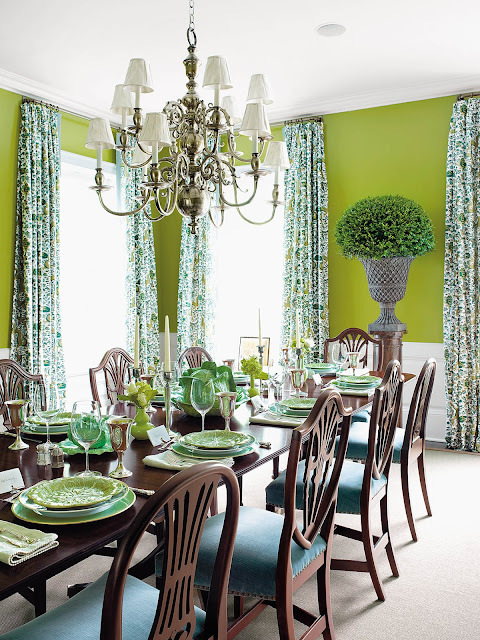 The truth is, beautiful rooms are defined as much by smart ideas as they are by fine furnishings. So, the mission of the magazine and Style Secrets is to reveal those truths. 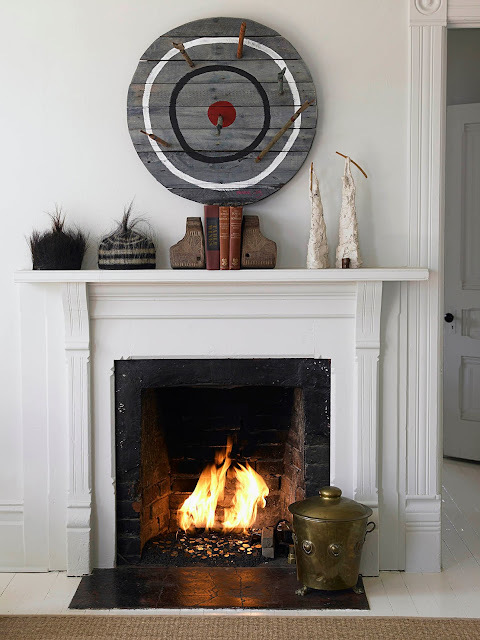 It’s sort of give a man a fish / teach a man to fish scenario: we will always do shopping stories in the magazine, but true, lasting enjoyment of home is wrought not from possessions, but from how its put together and the vibe it emits. The most interesting design professionals to me are the ones who can rearrange a homeowners existing furniture and art—and add just a few new elements—to create a magnificent space. They don’t need to start from scratch to relay a vision, nor do our readers. The book gives readers a shorthand guide on how to capture those insights for their own space. DDS: Your book is full of fantastic anecdotes, many of them witty, about each image, each room. 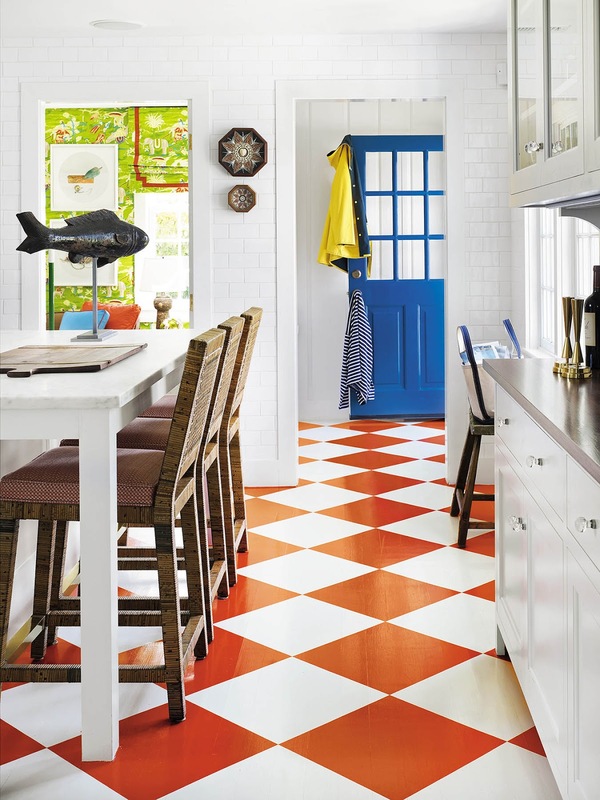 Can you tell us how design brings joy and fun into your life? SD: So many ways! Last night I had a few friends and colleagues for dinner and it was just a joy to see the dining room at work. The sconces—a splurge—glowing dimly; vintage dining chairs slapped with Ikea sheepskins on top, the narrow dining table chosen because it’s more intimate for everyday use and fun with a group … and it all worked in symphony with lots of storytelling and laughs around the table. It gives me so much joy to see how the things I’ve invested in can enable happy moments. I’m happy I have a fine wool rug in the living room; my baby spits up on it and it’s easy to clean and resilient. Plus, all my pictures of him learning to crawl have the BEST background! DDS: Sophie, thank you so much. I’m re-reading the book for about the twentieth time, and I’m find more ideas, Toward the end of the book, I found pages about ways to do treillage, as well as Chinoiserie murals, and at the very end there are ten pages about Moorish/ Moroccan/ Spanish design ideas, motifs and colors. I’m smitten. Thank you. It’s a keeper. 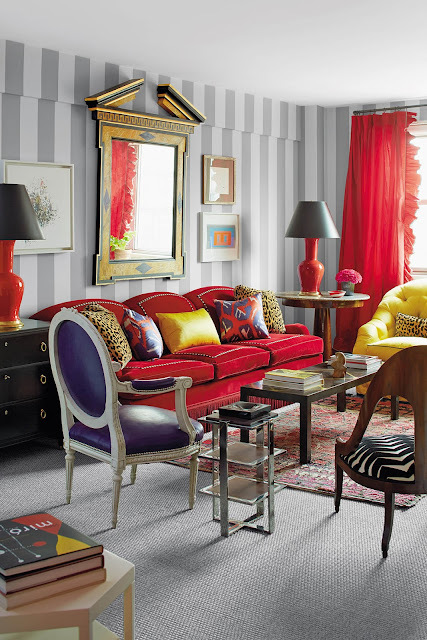 Credits:House Beautiful ‘Style Secrets: What Every Room Needs’ by Sophie Donelson is published by Abrams this month. The 250-page reference/ idea/workbook also includes a very detailed list of credits/ information on each room, as well as a very thorough index. 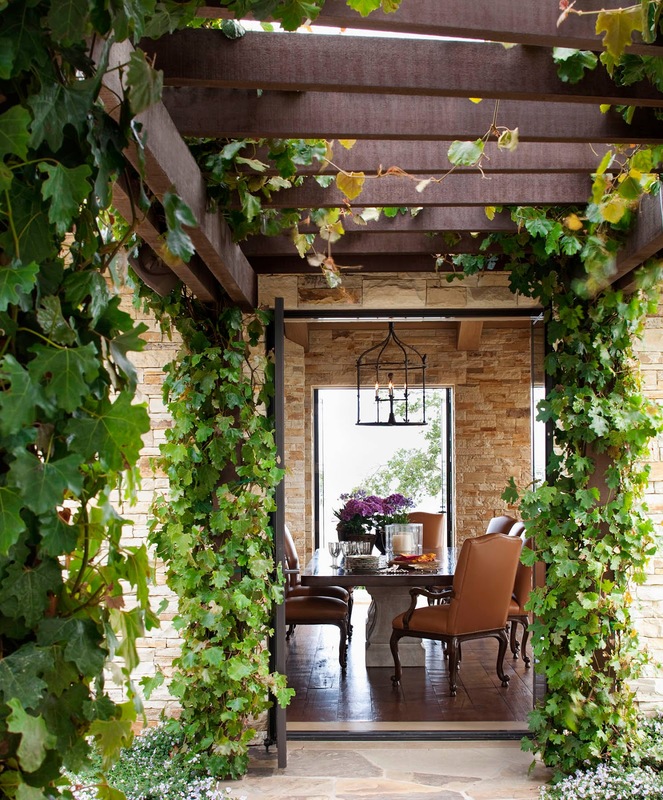 Photography used here with permission, House Beautiful. 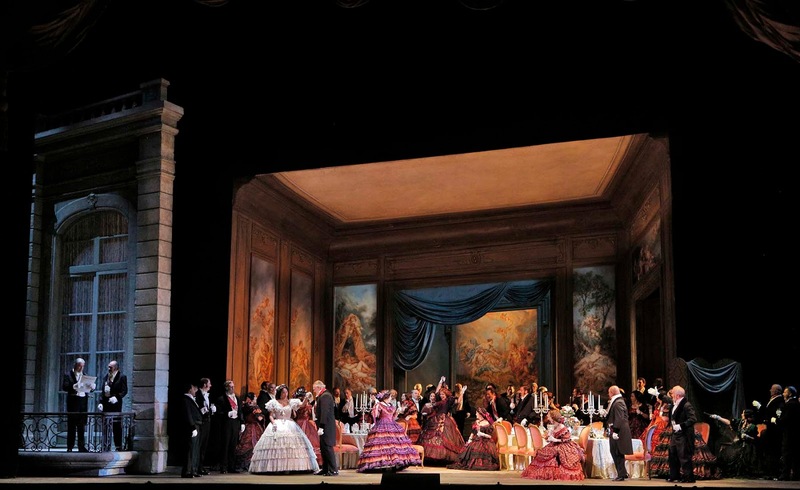 San Francisco Opera opens its dynamic Fall 2017 season September 8 with a dazzling series of five classic and new operas through December. This week I’ve put together a tip sheet with insider information and images to inspire you. 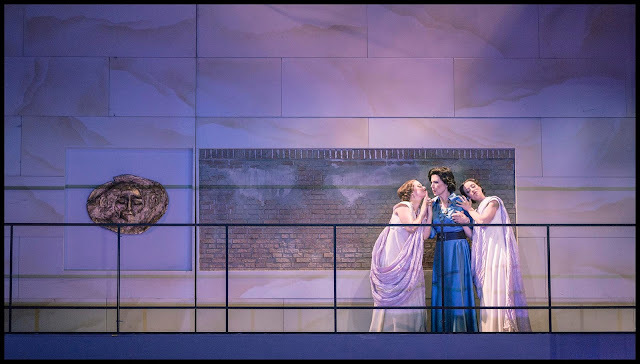 And an exclusive and informative list of season highlights especially for THE STYLE SALONISTE readers, from SF Opera general director, Matthew Shilvock. It’s great. 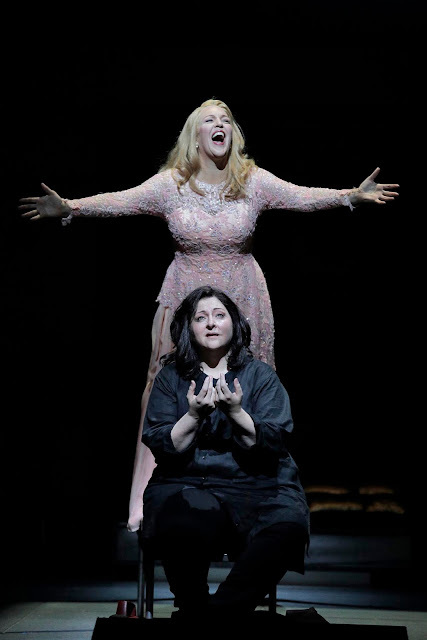 I love San Francisco Opera. 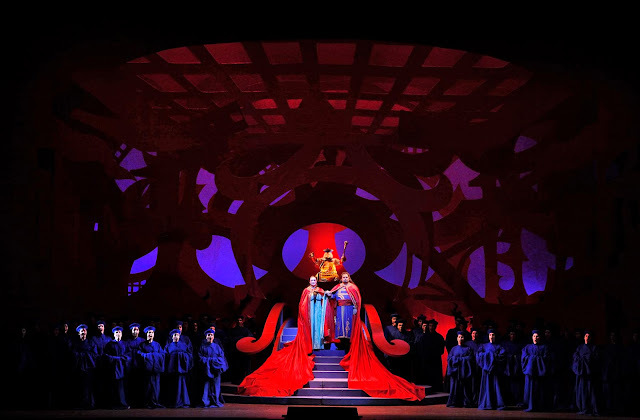 It’s one of the greatest opera companies in the world, with many decades of outstanding new operas, great performers, and vivid artistic relationships with all the top international opera houses. I’m especially excited about this season with a fantastic series of five operas over three months. 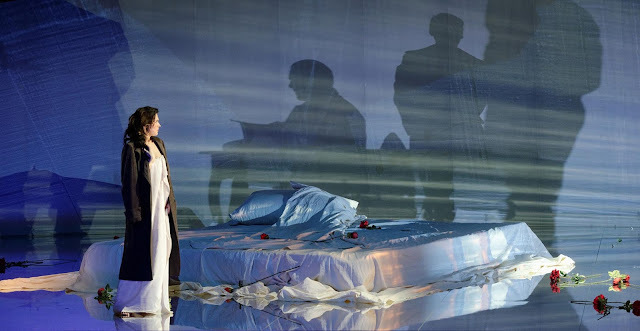 In sequence, the fall opera season encompasses, Turandot, which opens the season, followed by Elektra, La Traviata, Manon, and Girls of the Golden West, the new John Adams opera. San Francisco Opera inaugurates its 95th season on Friday, September 8, with Puccini’s Turandot, staged in a vivid, graphic and iconic production by English artist David Hockney and conducted by company music director Nicola Luisotti. 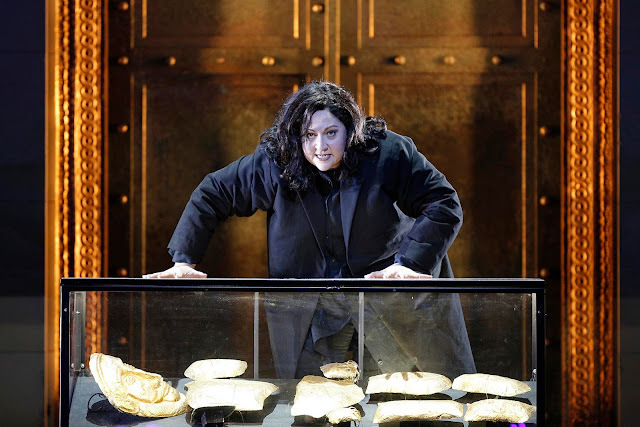 Saturday, September 9 features the opening of a new production of Richard Strauss’ Elektra. The opening weekend festivities continue on Sunday, September 10, with San Francisco Chronicle Presents Opera in the Park, an annual Bay Area tradition celebrating the opening of the opera season with a free concert in Golden Gate Park. 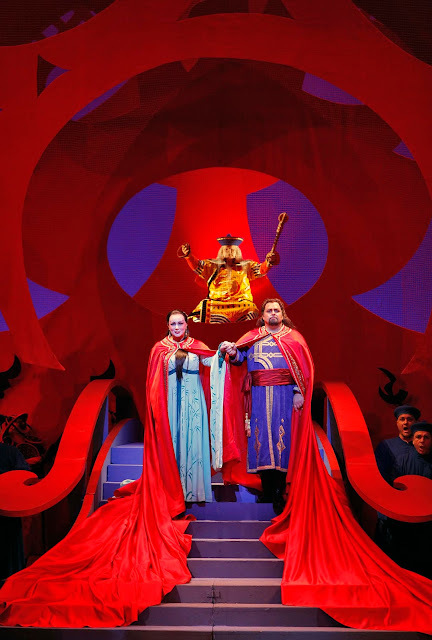 The season opens with Turandot. 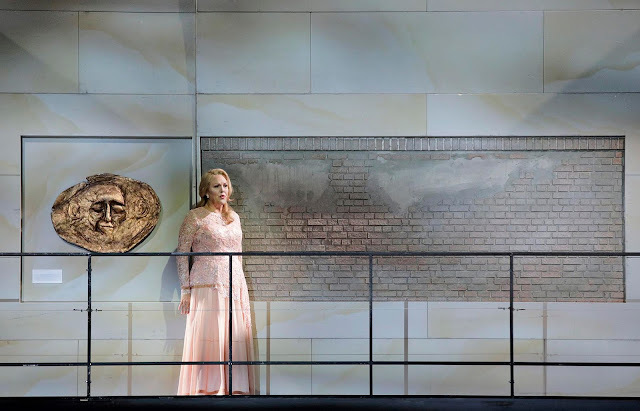 Opera fans that attend every production each season will be excited to hear that San Francisco Opera announced a casting update for its season-opening production. 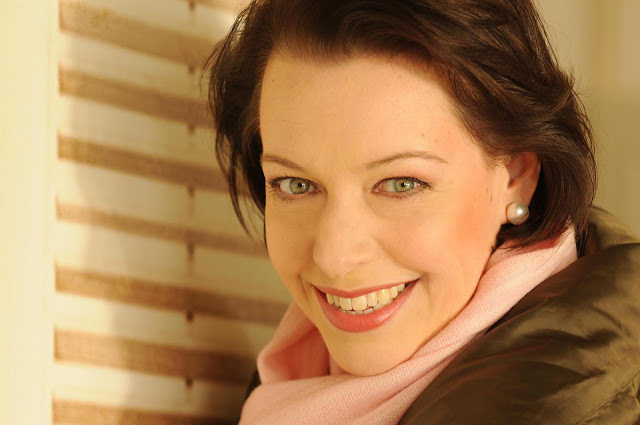 American soprano Toni Marie Palmertree will sing Liù, replacing Maria Agresta who has withdrawn due to illness. Originally scheduled to portray Puccini’s tragic heroine on September 24 and 30, Palmertree will now perform in all six September performances. 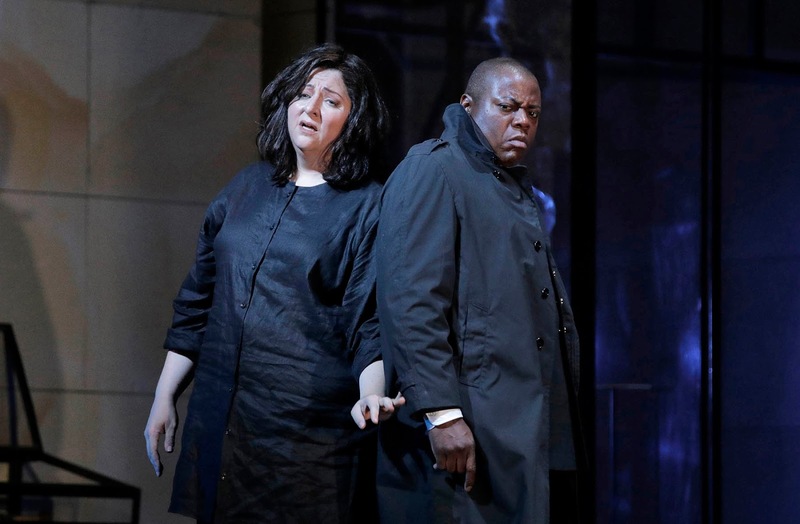 I was fortunate to attend Madama Butterfly last season when…in a stunning surprise for the audience…Palmertree scored a triumph when she substituted for an ailing colleague on two hours’ notice as Cio-Cio-San in Puccini’s Madama Butterfly. Nina Stemme will perform as the princess in Turandot on November 18, 25, 28; December 3m, 6 and 9. 1. 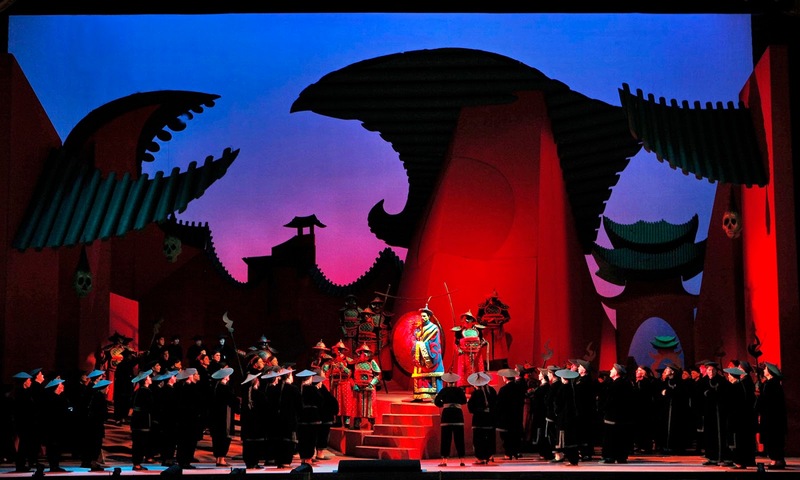 The 95th Fall Season opens with Giacomo Puccini’s grand opera “Turandot” featuring our Italian Music Director Nicola Luisotti on the podium leading the cast, orchestra and chorus. 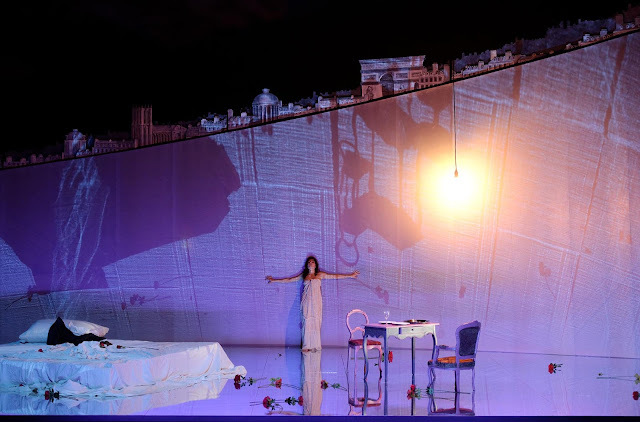 What better way to launch the opera year than with this very lush, lyrical and dramatic work all staged in David Hockney’s celebrated production. This presentation coincides with the 80th birthday celebration year of David Hockney. 2. I am particularly pleased that we will present “Turandot” for six performances in September with astonishing soprano Martina Serafin and then in November for six performances with acclaimed Swedish soprano Nina Stemme, our Brunnhilde from the 2011 Ring. 3. 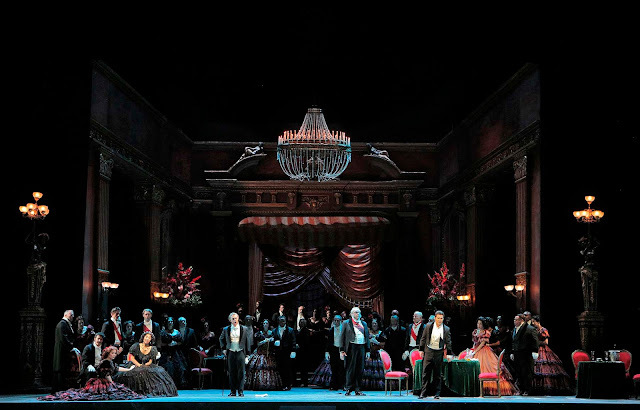 Opening night of the fall season begin with the San Francisco Opera Guild’s time-honored tradition of Opera Ball and by all reports, this year’s gala is completely sold-out under the leadership of co-chairs Courtney Labe and Maryam Muduroglu. Opening night and Opera Ball are dedicated to Music Director Nicola Luisotti, who will be relinquishing his post as company music director at the end of the season; Maestro will however return in future seasons as a special guest conductor. 4. 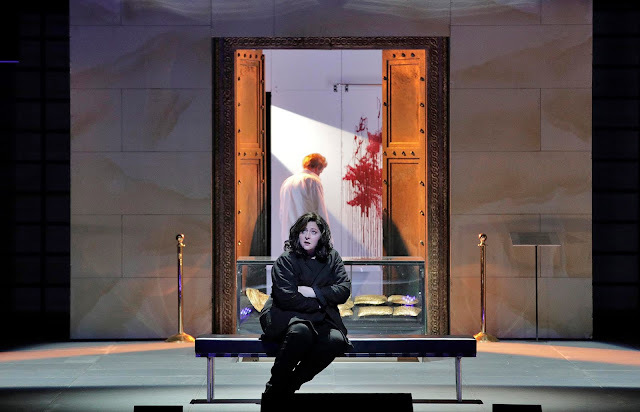 Our opening weekend will bring to the stage on Sept 9 the high-voltage lyric drama of “Elektra” by Richard Strauss, a work absent from the War Memorial Opera House stage for 20 years. I’m so terribly proud that we will present one of the world’s leading interpreters of the role, Christine Goerke, along with the extraordinarily talented Micaela Martens, Adrianne Pieczonka and Alfred Walker. 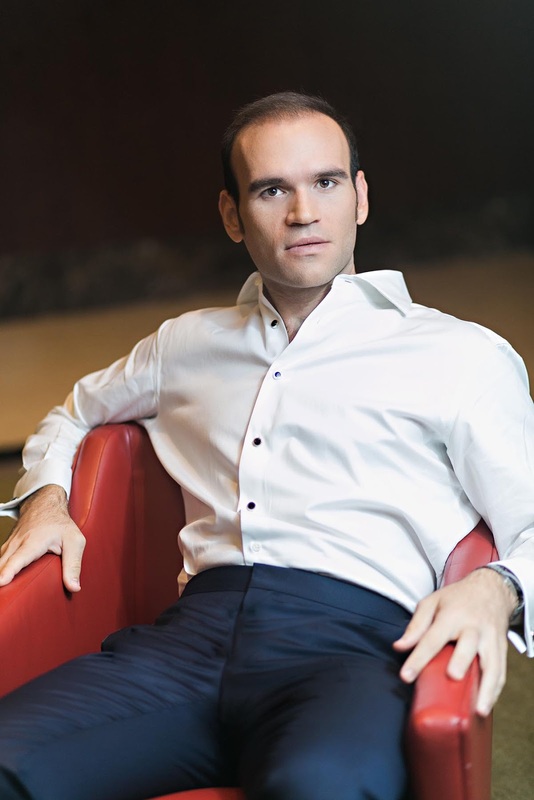 In his San Francisco Opera debut, Hungarian conductor Henrik Nánási will lead the 102 musicians in the pit. No pun intended, but this will be an electrifying evening in the Opera House. 6. 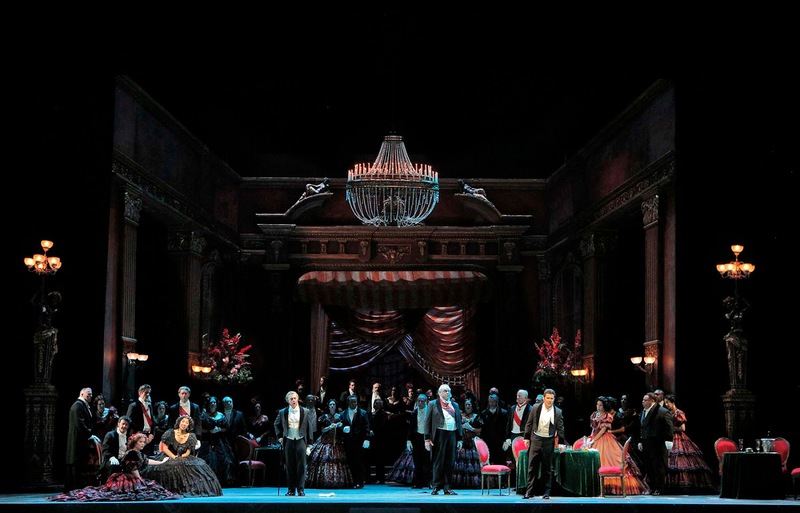 “La Traviata” opens Sept 23. 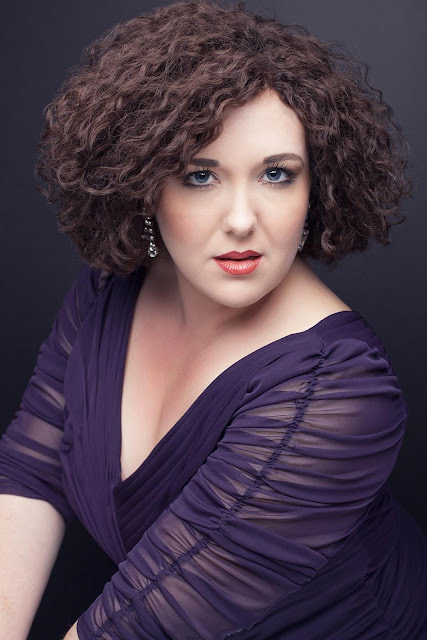 I’m thrilled to present the U.S. debut of beautiful and talented Romanian soprano Aurelia Florien along with the company debuts of Brazilian tenor Attalla Aryan and Polish baritone Arturo Ruciński. Very special to me was our ability to secure the return of award winning English director John Copley to oversee his plush and elegant production of mid-19th century Paris along with Shawna Lucey. 7. 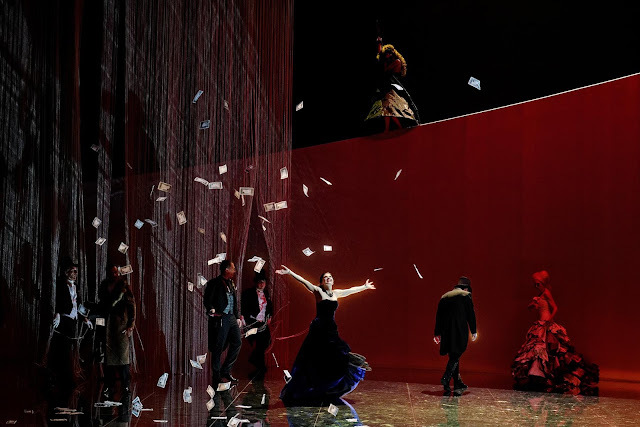 Our return to elegance will continue November 4 with a new production of Massenet’s opera “Manon,” one of the most romantic works from the French repertory. Soprano Ellie Dehn will make her title role debut and the incomparable tenor Michael Fabiano returns for his role debut as the lover, des Grieux. The French creative team features conductor Patrick Fournillier and director/costume designer Vincent Boussard. 8. Perhaps the musical event of the fall season will be the world premiere of the new John Adams opera, “Girls of the Golden West,” opening November 21 through December 10. This extraordinary creation by John Adams (composer of “Nixon in China,” “The Death of Klinghoffer” and “Doctor Atomic”) is set in the California Gold Rush with a libretto by Peter Sellars drawn from original sources including the well-known “Shirley Letters.” A brilliant, young, talented, and diverse cast of artists will be featured including Julia Bullock, Davóne Tines, J’Nai Bridges, Hye Jung Lee, Ryan McKinny, Elliot Madore, Paul Appleby and former San Francisco Ballet’s prima ballerina, Lorena Feijoo in the role of Lola Montez. I can’t imagine a more compelling opera than this that explores our story, our history and our place in the world. See you at the Opera! Matthew Shilvock has devoted his career to executive management in the performing arts. 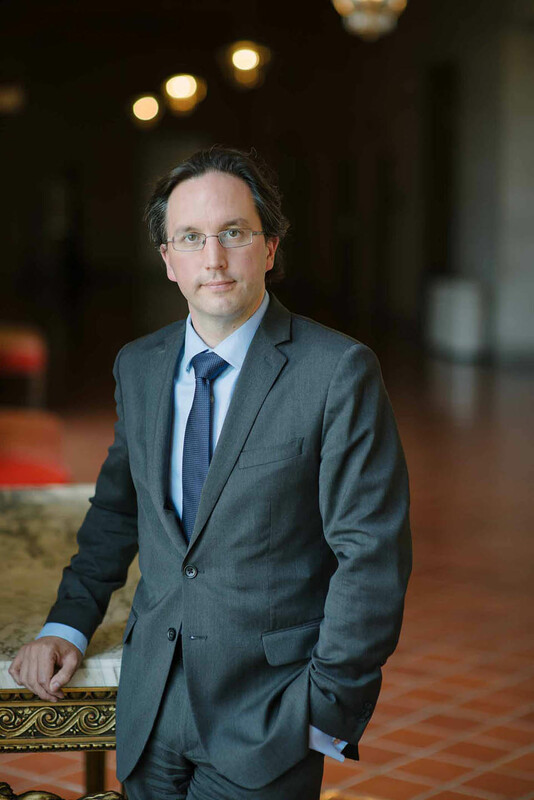 After early work with New Chamber Opera in Oxford, England, and PORTopera in Portland, Maine, he became a 2002 Fellow with OPERA America, the national service organization for opera companies in North America. In 2003, he joined Houston Grand Opera as the General Director’s Liaison for David Gockley, who served as General Director for that company from 1972– 2005. Shilvock came to San Francisco Opera in 2005 as part of Gockley’s transition team, serving as General Director’s Associate (2005–2007). He was promoted to Director of New Initiatives (2007–08), Assistant General Director (2008–2010) and in 2010, Associate General Director. 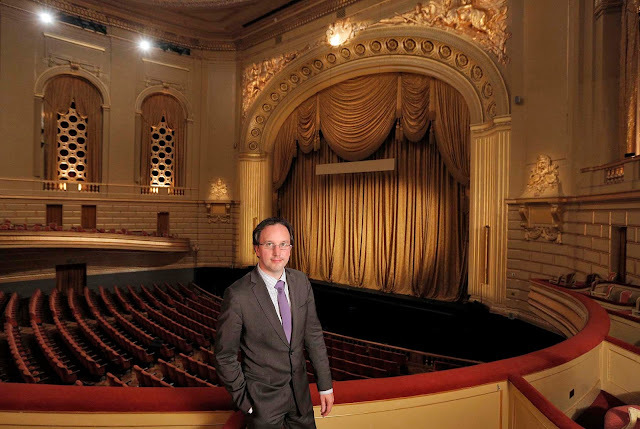 In his positions at San Francisco Opera, Shilvock has worked closely with David Gockley on all aspects of managing this institution and nurturing innovative new projects and initiatives. Matthew Shilvock was born in 1976 in Kidderminster, England. He studied music performance and history, reading music at Christ Church, Oxford University. He also holds a master’s degree in public administration from the University of Massachusetts Amherst, with a specialization in nonprofit administration. 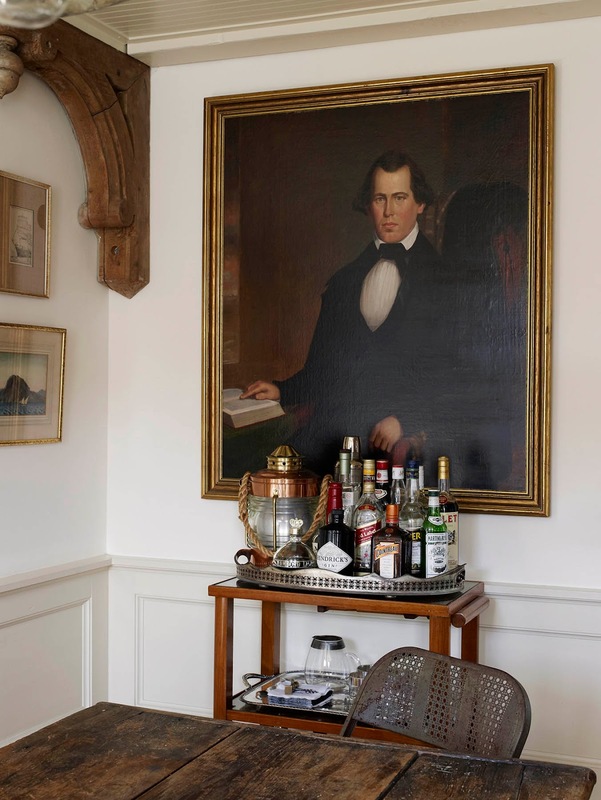 Shilvock resides in Marin County with his wife Kate and their two children. 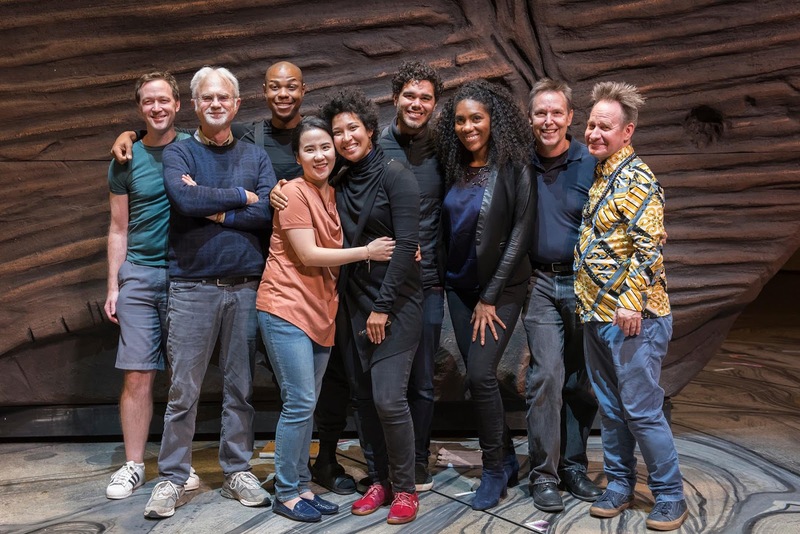 In production and rehearsal: The cast and creative team of Girls of the Golden West. This fall season also includes a vivid new opera, Girls of the Golden West, composed by John Adams. I’ve always admired Adams, and was fortunate to attend the historic opening night of ‘Doctor Atomic’ at San Francisco Opera House. 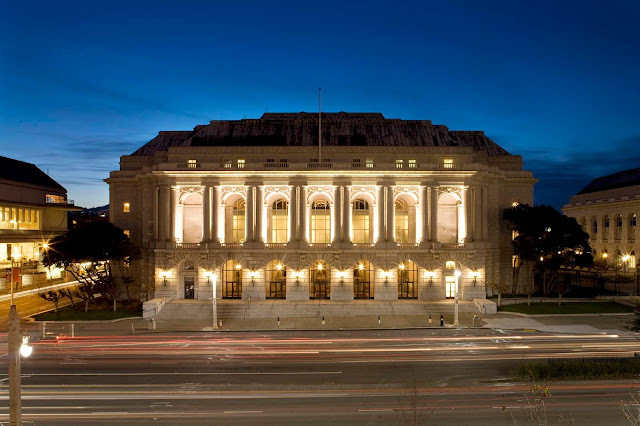 The Beaux-Arts San Francisco War Memorial Opera House is one of the most beautiful buildings in the city. The interiors—with marble staircases, bronze lanterns, dazzling chandeliers, and grand gilded proscenium and ornate gold silk honors the performances within. All images here courtesy of San Francisco Opera, used with express permission.